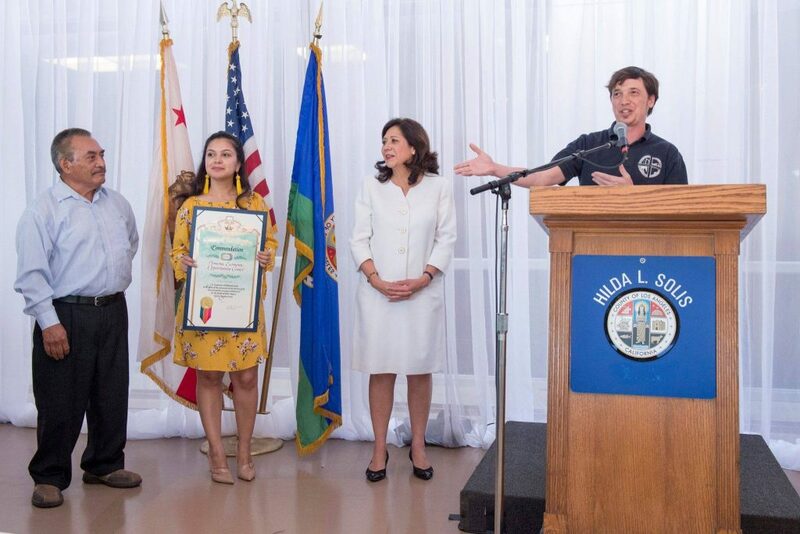 The Pomona Economic Opportunity Center (PEOC) was recognized by the Office of Supervisor Hilda Solis on Tuesday, May 2, 2017 for providing continued support to the immigrant community at large and for our immigration services in Pomona, CA and the San Gabriel Valley. The PEOC alongside other community organizations conducting immigration services in Pomona and San Gabriel Valley were given recognition for the work to inform and provide services to the immigrant community in various capacities. Since August 2015, the PEOC has been accredited and recognized by the Board of Immigration Appeals (BIA) under the Dept. of Justice to provide low-cost, legal assessment for immigration benefits and document preparation. Prior to that, the PEOC has engaged in providing educational outreach grassroots support to the immigrant community in Pomona and the San Gabriel Valley in various capacities. Immigration services conducted by PEOC include document preparation include naturalization, Deferred Action for Childhood Arrivals (DACA), Green Card Renewals, Work Permit, INFOPass representation at US CIS, FOIA requests and others. Community Services include educational outreach, “Know Your Rights” Workshops, Family Preparedness, Grassroots Advocacy. Legal consultations and document preparation will be offered by appointment only. If you need an appointment, simply call the Center at 909-397-4215 or email peoc.staff@pomonadaylabor.org during normal business hours and we will attend to you as soon as possible. The PEOC remains committed to providing educational outreach, support and low-cost immigration services to the immigrant community in our region. On behalf of the PEOC staff, our workers and our community members, we thank the Office of Supervisor Hilda Solis for this recognition.